In the world of MMA, ‘Mighty Mouse’ Demetrious Johnson has essentially done it all. And as he now moves on to the next chapter of his illustrious career overseas, that’s where it looks like his story will end. Johnson made the transition from the UFC to ONE Championship in the groundbreaking first-ever MMA ‘trade’ that saw him get swapped for ONE’s former welterweight king, ‘Funky’ Ben Askren. Both have since made their respective and successful promotional debuts. For the 12-time UFC champion, he made his debut just two weeks ago when he took on Yuya Wakamatsu at the massive ONE: A New Era card in Tokyo, Japan. Johnson would earn the victory via second-round submission (guillotine) to advance to the semifinals in the ONE flyweight Grand Prix. 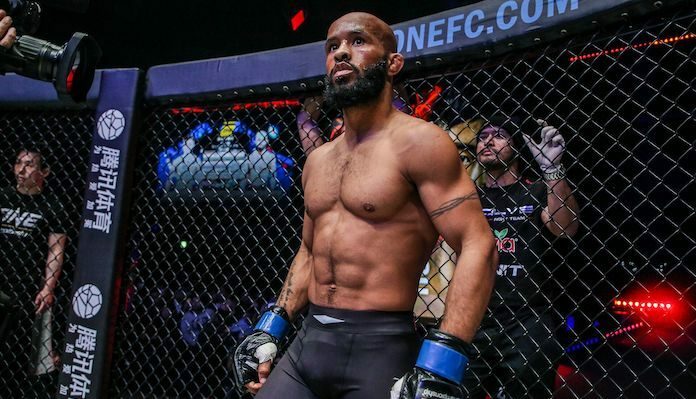 Having accomplished as much as he possibly could in the UFC, Mighty Mouse now plans to do the same in ONE within a five-year span. “I give myself five more years in mixed martial arts then I’m done,” Johnson said on Ariel Helwani’s MMA Show. “Five years, I’ll be 37, I’ll be old. At the end of the day, the biggest thing I’ll say, the difference… It’s been since 2011… Was the last time I fought at 135 [pounds]. And for me making this weight cut… Or weighing in at 135… My body’s being able to recover a lot faster. So who knows, I might be able to postpone five years to seven years because I’m not having to put my body through that traumatic weight cut to make 125. Along with the mention of his fellow stablemate in Eddie Alvarez, Johnson also mentioned the great Georges St-Pierre who went out on top and with his health. Johnson would claim that St-Pierre knew when to quit at the time that he set and stuck to it, something Johnson wants to do as well. As for who will be next for Johnson in the ONE flyweight tournament, he’ll face the winner of Tatsumitsu Wada and Gustavo Balart who face off at ONE: Roots of Honor this Friday night, April 12.